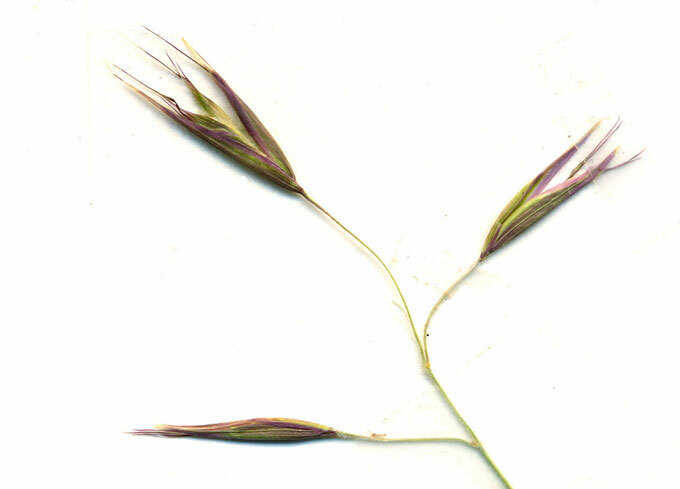 California oatgrass is often cryptic, being low growing with flowering stalks that are typically horizontal near the ground, as if knocked down by a high wind. 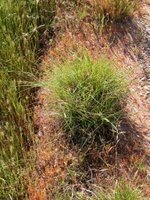 It forms some the most extensive stands of native grasses on the Preserve, including south of Trail 3 on either side of Rd. F, and in low-lying mesic areas north and south of Global Change site. 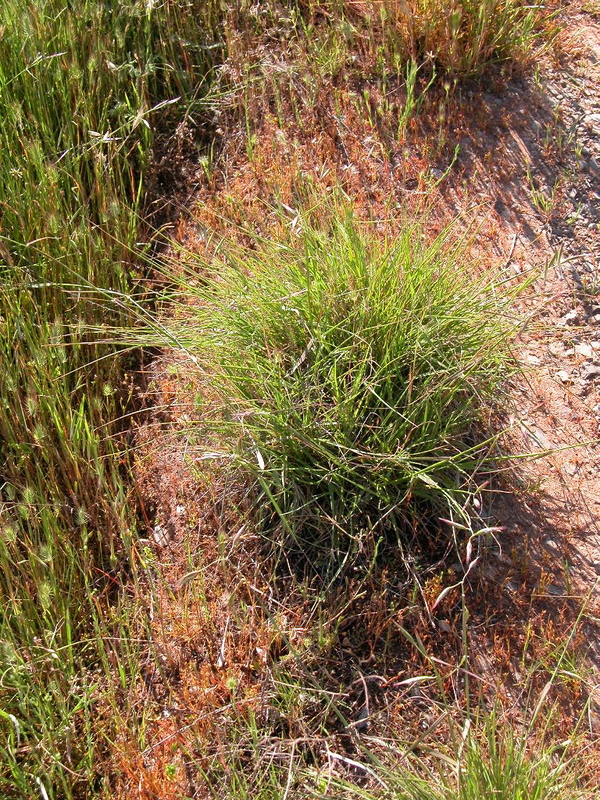 At the latter site, which includes the vernal pond which provides habitat for California semaphore grass, California oatgrass forms conspicuous tussocks. 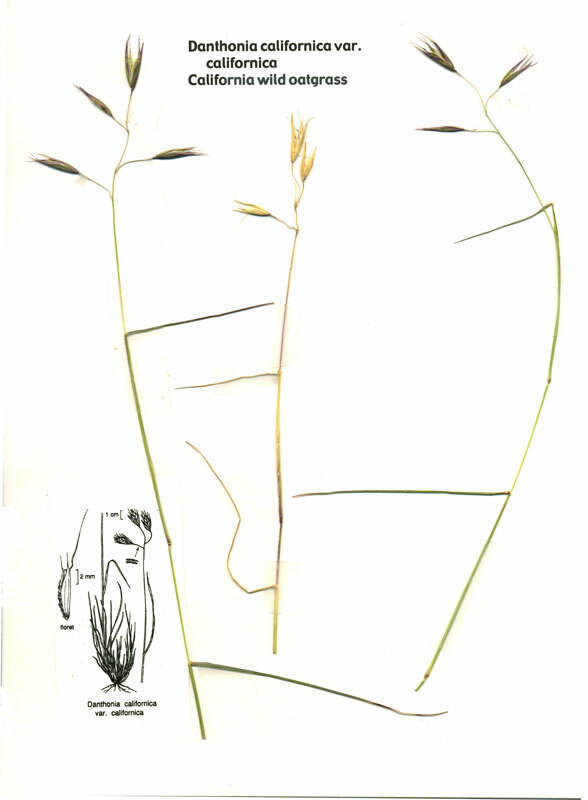 It has self-fertile (cleistogamous) florets in lower stems stacked upon one another above the stem nodes. Name: for E. Danthoine of France | from California.